Note: This is an incredible stimulus. Prescribed barbell weight is 75lb. for men and 55lb. for women. The Burpee and Thruster pair together in an “Oh so good way!”. How many people can Rx’ this workout and make it to round 4 (14 Thrusters / 14 Burpees) while at the same time, achieving a Bodyweight Thruster? 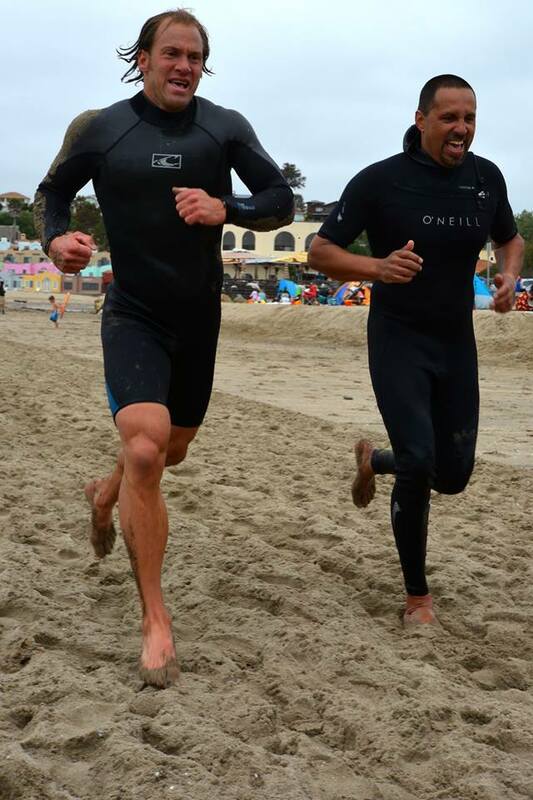 Eddie and Greg took 3rd Place at the first annual CrossFit Amundson and Operation Surf Water Warrior Challenge with a total of 14 rounds completed of 200 meter ocean swim and 1000 meter soft-sand run. All of the other teams in the competition were teams of 3. CrossFit Amundson won the Affiliate Cup with a total of 60 rounds completed, with CrossFit Santa Cruz in 2nd place with 56 rounds, and CrossFit NorCal 3rd with 27 rounds. Congratulations to all the Athletes who competed in this super challenging event!